In a retail business, modern billing software can resolve a lot of issues that often owner of the business faces. The owners of retail shops and quick service restaurant (QSR) are ought to take several features into consideration while selecting a billing software for shops with a goal to ensure smooth running of their business. Running a retail business successfully is not only limited to everyday sales, however, successful business also refers to retention of customers, sales and inventory tracking, accounts and receivables, which requires exceptional management. One, who is responsible to take care of all the above mentioned things is well aware of the fact that it is not so easy to manage everything single handedly. If you are among one of them, there is nothing to worry about. 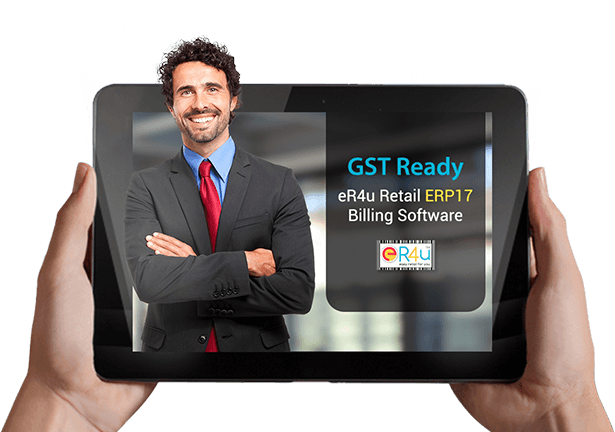 Er4u, the best billing software for retail shops is here to help you out. With this post we are going to present you with couple of issues that, an owner of retail shop, often faces. Let us have a look at them. Cash registers are being used by most of the retail shops and QSR in order to tender cash and complete the financial transactions within the store. Be that as it may, a cash register would be helpful to fulfill just in-store requirements. The functionalities of back office, such as, inventory management, purchase management, payments and receivables, accounting, everyday store difficulties and more cannot be tackled with the help of only cash register. It is where the role of modern billing software for retail shops comes into the play. Without wasting time any further, let us have a look at some of the issues that a retail store generally faces. It is difficult for owners to do product/item lookup, inventory transfer, checking the overall sales report who owns a chain of retail shops or more than one shop. Both the retail stores and QSRs experiences difficulties in serving large number of customers and billing amid the rush hours. Manual billing or utilizing cash registers for billing consumes a lot of time, which makes serving large number of customers in less time quite impossible. One of the most vital tasks for a business is to keep track of its inventory. Cash register would be of no use when you need to track your inventory, while modern billing software for shops can help you in this regard.